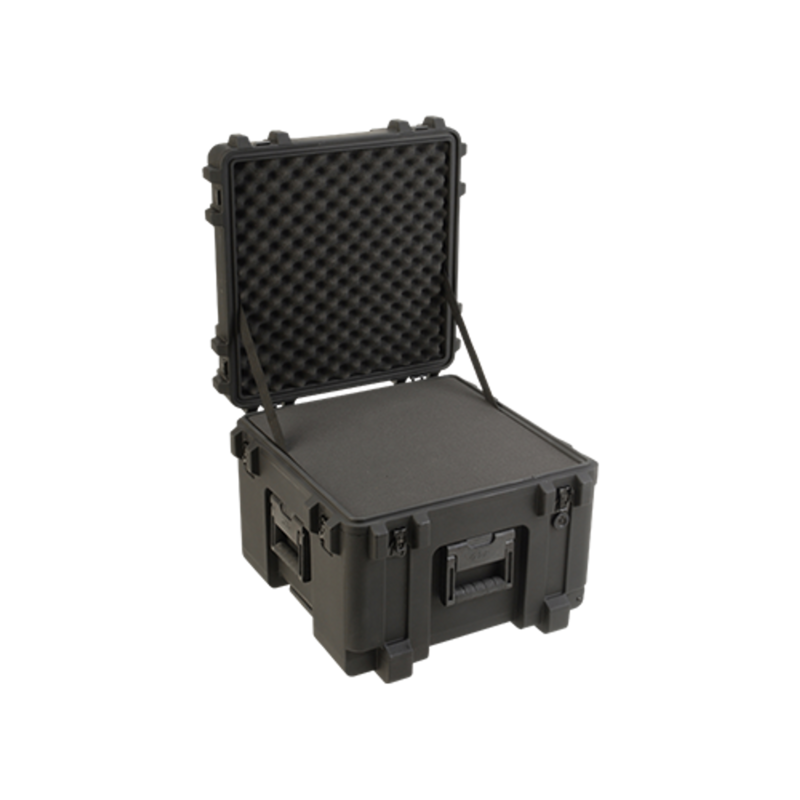 The SKB Series of foam utility cases provide Mil-Standard (United Stated military defense standard) protection from water and dust in a sleek, ultra strong polypropylene co-polymer resin. This submersible case is water and dust tight, while the material it's made of (the polypropylene co-polymer resin) refuses to corrode or break from high impact. Add a useful hinge with a patented latch release system that snaps down easily and securely, and you have a top of the line beautiful foam utility case ready for your sensitive IT, audio, network, electronics, and other equipment.